The Web site includes ratings for about 60 of the state’s more than 1,200 family care homes and assisted living centers. Star ratings are updated on the site on monthly basis as each month’s facility inspections are completed. 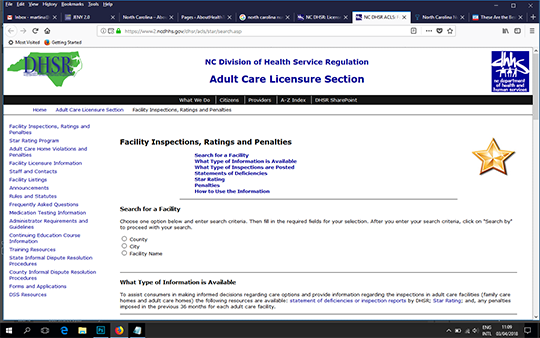 The ratings include violations since Jan. 1, as well as centers’ performance on minimum standards of staffing, security, training, sanitation, medication dispensing and other measures. Any penalties imposed in the previous 36 months for each adult care facility is also reported.